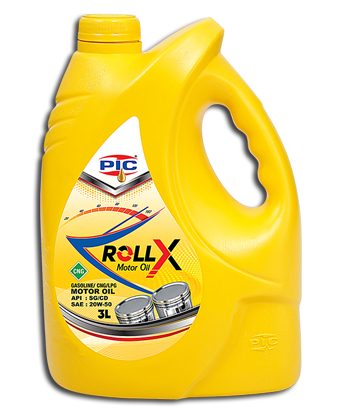 ROLL X SAE-20W-50 Gasoline/CNG/LPG Motor Oil (3L) is an excellent quality multigrade engine oil which provides outstanding performance in all passenger cars, light commercial vehicles, CNG and gasoline engines.It is formulated with highly refined mineral base oil and selective addictive technology. High engine protection under extreme operating conditions. Anti-wear and anti –oxidant properties. Fuel economy and better cold starting.